Join us for a curated behind-the-scenes artwalk in Chelsea. We will visit a wide variety of exhibitions in renowned and hidden artspaces where artists and gallery owners talk about the work. 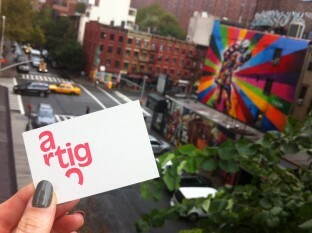 We will visit an artist studio, and along the way Artigo shares insights into the New York art world.